You're Invited: Our 1st Awards Celebration & Fundraising Dinner! We're very excited to let you know that Meaningful Movies is having our first AWARDS CELEBRATION & FUNDRAISING DINNER! 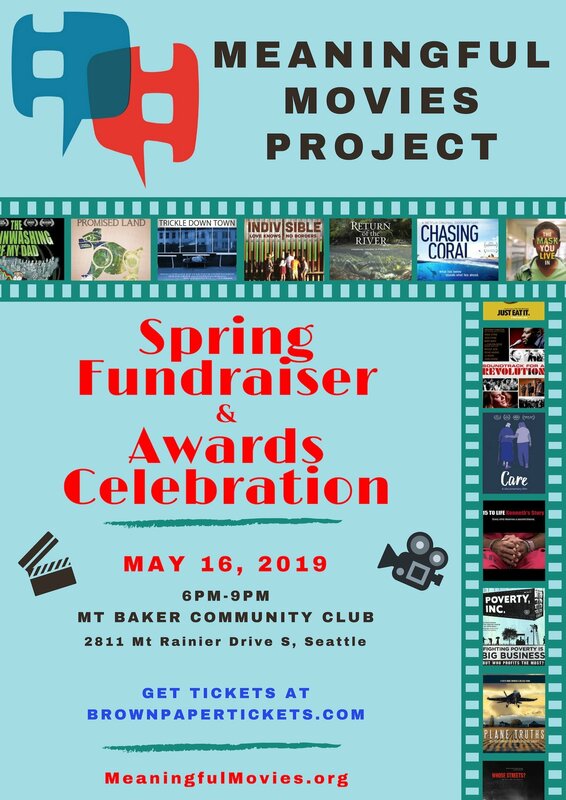 This is an opportunity to come together for a fun evening to celebrate how the Meaningful Movies Project has grown and to honor our 2018 FILM, FILMMAKER, VOLUNTEER and PARTNER ORGANIZATION AWARDEES. We hope you’ll be able to attend and be part of the evening! We know that you -- audience members, filmmakers and representatives from social justice organizations -- appreciate the opportunities that our Meaningful Movies events have provided over the past 16 years to our communities. We would love to have you join us for this event to celebrate YOUR part in making the Meaningful Movies Project what it is today. And to help us make MMP even more effective into the future!